Grand Prize is a $100,000.00 check. 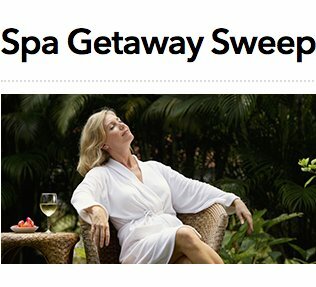 Use it towards your next spa getaway and enter today. Win 1 of 5 $3,650.00 flyaway trip for two to one of the 2020 Stanley Cup Final games. Sweepstakes begins at 12:00am (midnight) on April 11, 2019 and ends at 11:59pm ET on June 15, 2019. Win a $5,000.00 Trip for 2 to Los Angeles, CA October 18 - 20, 2019 for a Formula Drift experience. Includes airfare and hotel stay.